Sunbrella® Rain features a back coating that is completely waterproof. Already known for its water resistance, Sunbrella fabrics are now offered as Sunbrella® Rain, a 100% waterproof version of the legendary upholstery fabric. 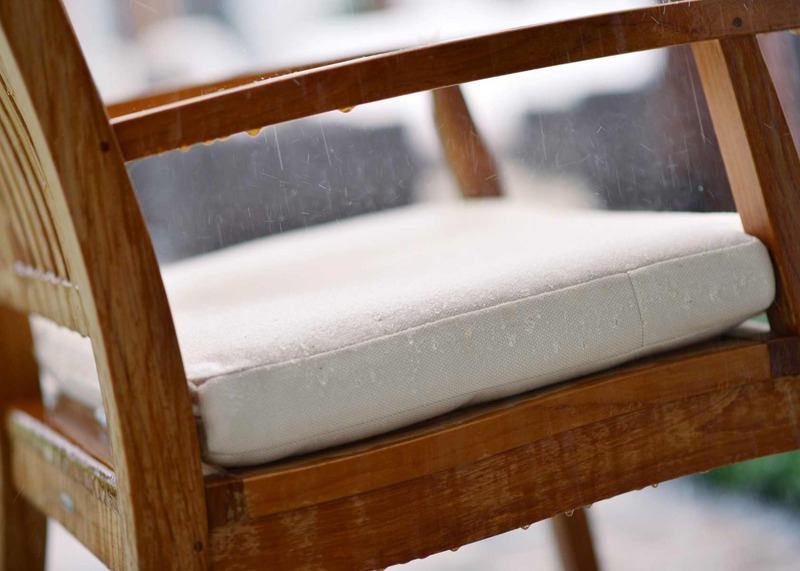 The fabric features a back coating that is completely waterproof when cushions are constructed according to pre-set guidelines, preventing water from getting inside the cushion. This fabric offers a quick-dry solution that allows people to immediately continue lounging once the rain has stopped. Sunbrella Rain is available in more than 200 Sunbrella upholstery fabrics and is covered by the same 5-year limited warranty as other Sunbrella fabrics, including coverage against loss of color or strength from normal use, exposure to sunlight, mildew and atmospheric chemicals. For a brand that started out as an industrial-grade awning fabric in only six colors, Sunbrella fabrics have come a long way. From awnings, to marine, to casual furniture, Sunbrella fabrics have led the industry with extensive styles and colors while providing unparalleled performance. In the early 1990s, Sunbrella unveiled its softer side with fabrics targeted at the interior design trade and now available in design showrooms across the country. Today, Sunbrella is used in a variety of innovative new products that offer creative solutions for consumers and the design community.